Nuestro gran amigo Fernandito se estara presentando este sábado. Este es un concierto patrocinado por Unidad Latina en Acción, los dineros estarán destinado para ayudar a pagar los gastos legales de nuestros amigos en proceso de deportación….Fernandito es un cantante, compositor y activista de la isla del encanto. 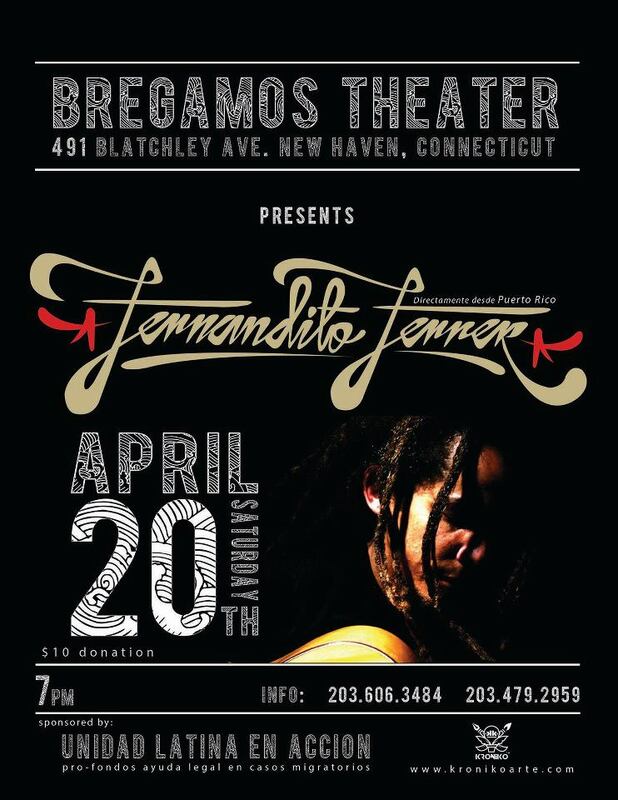 Our good friend Fernandito will be in New Haven in a concert. This event is sponsored by ULA and all the money will support the legal f…ees of our friends who are in deportation process….Fernandito is a singer, songwriter and activist from Puerto Rico. 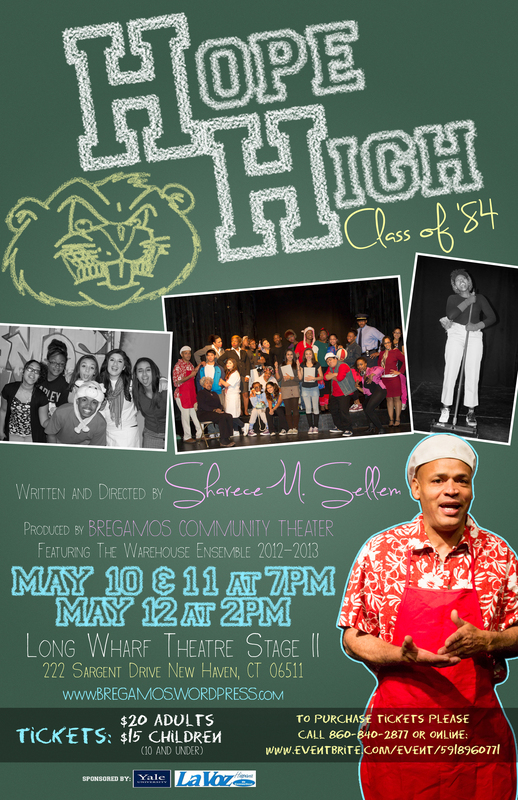 Hope High: Class of ’84 is a light-hearted, 1980’s style after-school special for the modern day era. Cedar City High School has fallen into ruin after years of neglect, but that won’t keep the nerds, jocks, queen bees, wannabes, pseudo-revolutionaries and young lovers from trying to have the best school year ever! Though the mascot of Cedar City High is a Beaver, it’s Uncle Kang and his diner that hold the community together, giving this hilarious group of kids a place to work, solve their problems and just hang out. But when tragedy rocks the school, it’s up to the students to pick up the pieces. This inaugural run will be starring Greater New Haven area teens, a talented cast of adults in supporting roles and will feature original music and choreography.